Premium HATCH Fly Lines, Backing, Leaders, & Tippet deliver superior performance with No SALES TAX and Free prompt shipping from the Caddis Fly Shop. HATCH is a small company that targets top-tier products of the highest quality. From fly lines, leaders, tippet, and backing, if Hatch offers it, you can count on the product being the best of the best. No compromising here; HATCH products have earned our highest respect and admiration. The HATCH fly lines are currently targeted to the tropics, but their reels, backing, and leaders make a great fit for fly anglers who expect the very finest quality fishing anywhere in the world. HATCH Tropical fly lines are the tip of the iceberg, and their Premium Backing is absolutely fantastic! 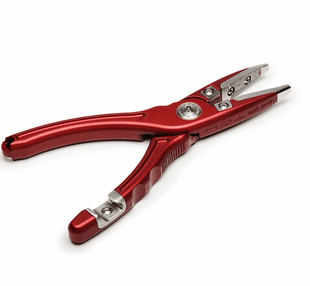 When you consider Hatch leaders, tippet, pliers and other accessories on the list of specialized fly fishing products, you will start to understand why we hold such high regard for the HATCH line of gear. HATCH fly lines are manufactured to exacting standards by the folks at AIRFLO and we have plenty of experience with the entire range of AIRFLO lines. Our friends at HATCH were able to design each perfect fly line, and they did so, from the 100 ft Floater to the 150 ft fast sinker, all built on low-stretch power Core with ridged texture. 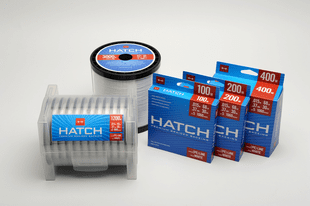 Why do we recommend HATCH fly fishing gear? As professionals, we test tons of great fly fishing gear. 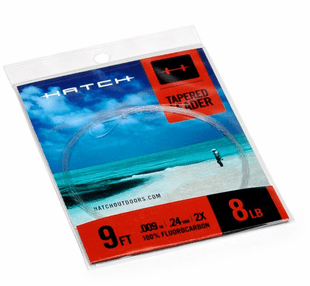 HATCH fly lines, leaders, tippet, pliers, and reels are at the very top of our list for quality. It is that simple. There is never any guessing about dependable performance with HATCH fly fishing gear. HATCH fly lines - Tech advantages. Here is the deal: Hatch has the luxury of being able to offer a small number of lines with perfect features. HATCH products are all about offering the best of the best in each product category, not on trying to be everything to everyone. They design the perfect line and get it produced by one of the world�s most respected fly line manufacturer, AIRFLO. 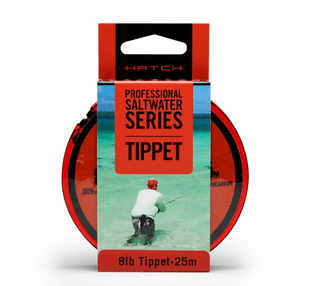 HATCH Professional Series Leaders and Tippet. 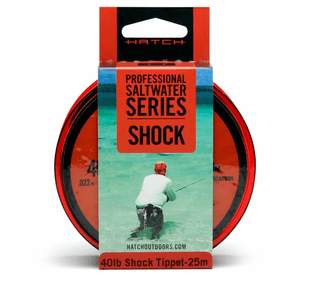 Hatch decided to limit their offerings to superior fluorocarbon material, manufactured by a fluorocarbon specialist in Japan. They could have chosen any of the various formulations, so they selected the one they liked the best, and offer this material in the signature HATCH product line. Highest grade fluorocarbon material. 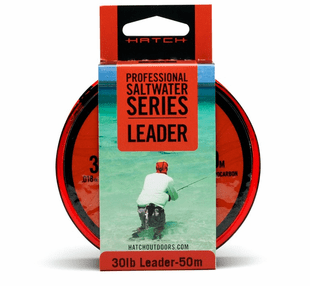 HATCH tapered leaders and tippet material has an excellent balance of strength, low memory, abrasion resistance, overall durability, and knot strength. This is superior fluorocarbon material, and we have fished and tested this stuff hard on sizable, hard pulling game species like Albacore and Chinook Salmon, while our clients have tested Hatch on species from Tarpon, Permit, GTs, Bonefish and Stripers. HATCH Premium Backing. We fish routinely with RIO Dacron and Gel Spun backing material. Both are very good materials for backing. HATCH Premium backing feels smooth like Dacron, is smaller diameter than gel spun, has none of the slick feel of gel spun, and does not absorb water like Dacron will. The only negative to HATCH premium backing is the expense, but buck for buck, it is the finest material we have found, period. Did we mention that HATCH Premium backing is 8 strand, instead of the usual $ strand in many Polyethylene super braids? Eight strand makes for the nice round feel of the PE Premium HATCH backing. Closing on HATCH. HATCH fly lines, leaders, and tippet materials are nothing short of fabulous products. In a world where we have a dizzying number of gear choices, it is comforting to know that one cannot fail to receive the highest level of performance from HATCH products. Count on it. From small streams to blue water applications, HATCH fly fishing gear delivers all day, everyday.